Chicago’s John H. Stoger Jr. Hospital. Dr. Opara is dedicating his life to the care and wellbeing of children and now he’s here in Galesburg to care for ours. 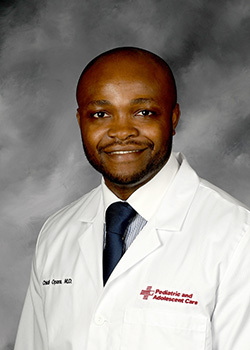 Please welcome Dr. Chidi Opara. Learn more about Dr. Opara, visit MyCottageClinics.com.